Englewood, NJ, October 17, 2013, Christina J. Seo, MD, Colon and Rectal Surgeon for Barash-White, MD, PA, has been recognized by Elite American Physicians for dedication, achievements and leadership in colon and rectal surgery. 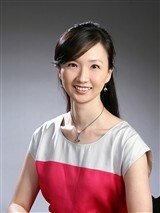 Dr. Seo entered the medical professional because she enjoyed working with her hands and new technology. She has been a practicing physician for more than a decade and has garnered a reputation for her expertise in minimally invasive surgery. As a surgeon, Dr. Seo performs a wide range of surgeries, colonoscopies, and office procedures. She prides herself on putting her patients’ needs first and is always looking for new ways to provide them with better care. Dr. Seo doesn’t just want to treat patients, but educate them. She understands that many colorectal diseases, like cancer, are preventable and she wants to spread awareness. Named the VIP Woman of the Year by the National Association of Professional Women, Dr. Seo is a board certified general surgeon who attributes her success to her good training and enjoying her work. Looking toward the future, Dr. Seo would like to continue establishing herself as a successful surgeon specializing in minimally invasive surgery and robotics. 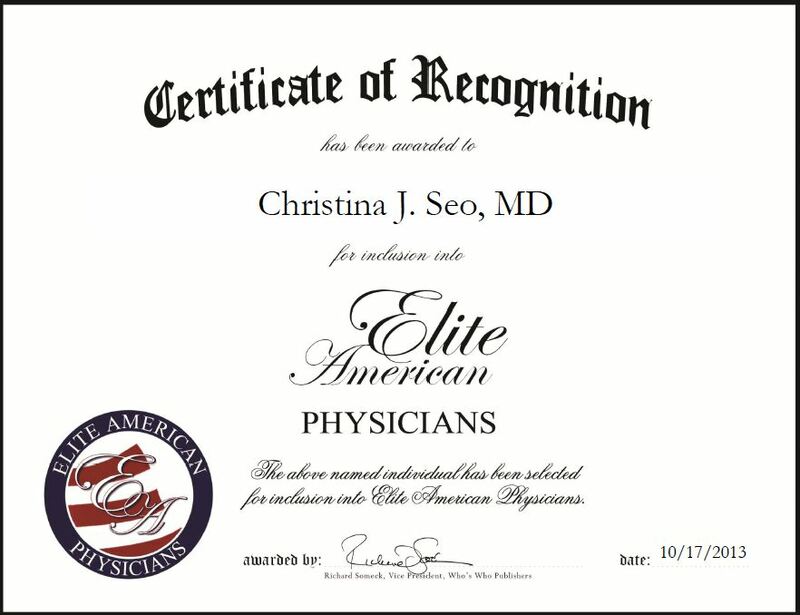 Dr. Christina Seo was originally selected for inclusion in EliteAMERICAN Physicians in October 2013. We are proud to be featuring Dr. Seo again in EliteAMERICAN Physicians for 2014-15.